When you visit 3D Protein Imaging or send emails to us, you are communicating with us electronically. You consent to receive communications from us electronically. We will communicate with you by email or by posting notices on this site. You agree that all agreements, notices, disclosures and other communications that we provide to you electronically satisfy any legal requirement that such communications be in writing. All content included on 3D Protein Imaging, such as text, graphics, logos, button icons, images, audio clips, digital downloads, data compilations, and software, is the property of Individual company Tomasello Gianluca or its content suppliers and protected by international copyright laws. The compilation of all content on this site is the exclusive property of Individual company Tomasello Gianluca, with copyright authorship for this collection by Individual company Tomasello Gianluca, and protected by international copyright laws. Individual company Tomasello Gianluca grants you a limited license to access and make personal use of this site and not to download (other than page caching) or modify it, or any portion of it, except with express written consent of Individual company Tomasello Gianluca. This license does not include any resale or commercial use of this site or its contents: any collection and use of any product listings, descriptions, or prices: any derivative use of this site or its contents: any downloading or copying of account information for the benefit of another merchant: or any use of data mining, robots, or similar data gathering and extraction tools. This site or any portion of this site may not be reproduced, duplicated, copied, sold, resold, visited, or otherwise exploited for any commercial purpose without express written consent of Individual company Tomasello Gianluca. You may not frame or utilize framing techniques to enclose any trademark, logo, or other proprietary information (including images, text, page layout, or form) of Individual company Tomasello Gianluca and our associates without express written consent. You may not use any meta tags or any other “hidden text” utilizing Individual company Tomasello Gianluca name or trademarks without the express written consent of Individual company Tomasello Gianluca. Any unauthorized use terminates the permission or license granted by Individual company Tomasello Gianluca. You are granted a limited, revocable, and nonexclusive right to create a hyperlink to the home page of Individual company Tomasello Gianluca so long as the link does not portray Individual company Tomasello Gianluca, its associates, or their products or services in a false, misleading, derogatory, or otherwise offensive matter. You may not use any Individual company Tomasello Gianluca logo or other proprietary graphic or trademark as part of the link without express written permission. If you use this site, you are responsible for maintaining the confidentiality of your account and password and for restricting access to your computer, and you agree to accept responsibility for all activities that occur under your account or password. If you are under 18, you may use our website only with involvement of a parent or guardian. Individual company Tomasello Gianluca and its associates reserve the right to refuse service, terminate accounts, remove or edit content, or cancel orders in their sole discretion. Individual company Tomasello Gianluca and its associates attempt to be as accurate as possible. However, Individual company Tomasello Gianluca does not warrant that product descriptions or other content of this site is accurate, complete, reliable, current, or error-free. If a product offered by Individual company Tomasello Gianluca itself is not as expected, contact assistance@3dproteinimaging.com. DISCLAIMER OF WARRANTIES AND LIMITATION OF LIABILITY THIS SITE IS PROVIDED BY 3D PROTEIN IMAGING ON AN “AS IS” AND “AS AVAILABLE” BASIS. 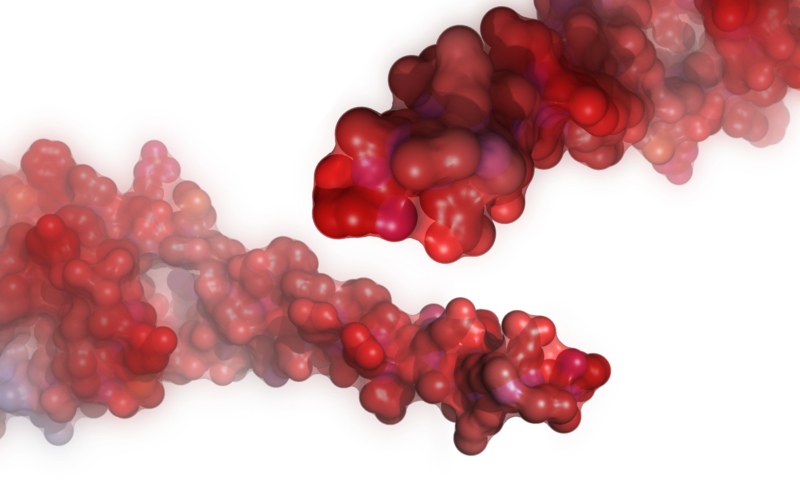 3D PROTEIN IMAGING MAKES NO REPRESENTATIONS OR WARRANTIES OF ANY KIND, EXPRESS OR IMPLIED, AS TO THE OPERATION OF THIS SITE OR THE INFORMATION, CONTENT, MATERIALS, OR PRODUCTS INCLUDED ON THIS SITE. YOU EXPRESSLY AGREE THAT YOUR USE OF THIS SITE IS AT YOUR SOLE RISK. TO THE FULL EXTENT PERMISSIBLE BY APPLICABLE LAW, 3D PROTEIN IMAGING DISCLAIMS ALL WARRANTIES, EXPRESS OR IMPLIED, INCLUDING, BUT NOT LIMITED TO, IMPLIED WARRANTIES OF MERCHANTABILITY AND FITNESS FOR A PARTICULAR PURPOSE. 3D PROTEIN IMAGING DOES NOT WARRANT THAT THIS SITE, ITS SERVERS, OR E-MAIL SENT FROM 3D PROTEIN IMAGING ARE FREE OF VIRUSES OR OTHER HARMFUL COMPONENTS. 3D PROTEIN IMAGING WILL NOT BE LIABLE FOR ANY DAMAGES OF ANY KIND ARISING FROM THE USE OF THIS SITE, INCLUDING, BUT NOT LIMITED TO DIRECT, INDIRECT, INCIDENTAL, PUNITIVE, AND CONSEQUENTIAL DAMAGES. CERTAIN STATE LAWS DO NOT ALLOW LIMITATIONS ON IMPLIED WARRANTIES OR THE EXCLUSION OR LIMITATION OF CERTAIN DAMAGES. IF THESE LAWS APPLY TO YOU, SOME OR ALL OF THE ABOVE DISCLAIMERS, EXCLUSIONS, OR LIMITATIONS MAY NOT APPLY TO YOU, AND YOU MIGHT HAVE ADDITIONAL RIGHTS. You agree to pay all fees and applicable taxes incurred by you or anyone using an account registered to you. Individual company Tomasello Gianluca may revise the pricing for the goods and services offered at any time. YOU ACKNOWLEDGE THAT INDIVIDUAL COMPANY TOMASELLO GIANLUCA IS NOT REQUIRED TO PROVIDE A REFUND FOR ANY REASON, AND THAT YOU WILL NOT RECEIVE MONEY OR OTHER COMPENSATION FOR UNUSED VIRTUAL ITEMS WHEN AN ACCOUNT IS CLOSED, WHETHER SUCH CLOSURE WAS VOLUNTARY OR INVOLUNTARY. By visiting Individual company Tomasello Gianluca , you agree that the laws of the state of Italy, without regard to principles of conflict of laws, will govern these Conditions of Use and any dispute of any sort that might arise between you and Individual company Tomasello Gianluca or its associates. Please review our other policies, posted on this site. These policies also govern your visit to 3D Protein Imaging. We reserve the right to make changes to our site, policies, and these Conditions of Use at any time. If any of these conditions shall be deemed invalid, void, or for any reason unenforceable, that condition shall be deemed severable and shall not affect the validity and enforceability of any remaining condition.